Traditional Savannah embraces her alter ego as a stylish and modern metropolis with a hip urban oasis, the Andaz, in Historic Ellis Square. 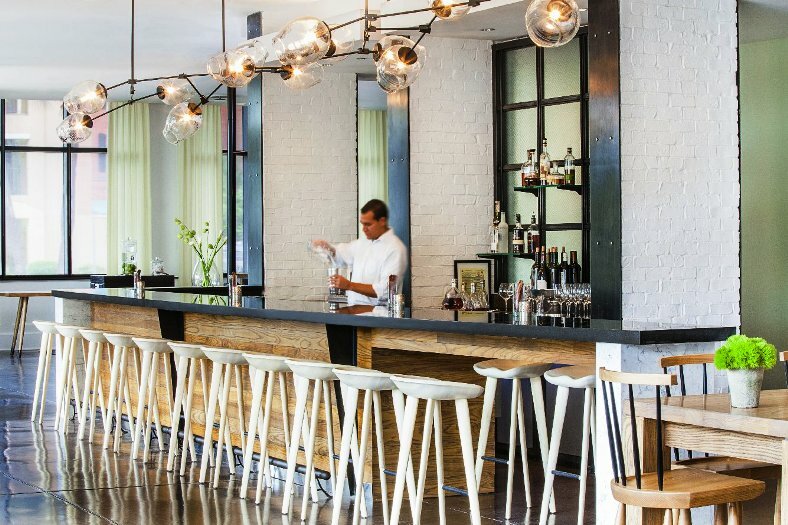 The Andaz Savannah, a Hyatt boutique hotel is the result of an artful redesign (formerly the AVIA) elevating the property to a new standard in hospitality for discerning leisure and business travelers. The Andaz brand concept focuses on personal attitude and attention. Each Andaz hotel is unique reflecting the culture and social life of the locale while serving the special needs of each guest. Design and distinctive elements include an unstructured inviting lobby where one is greeted with a cool refreshing beverage, an open kitchen featuring locally grown produce and regional cuisine, a sleek bar with comfort seating and killer signature cocktails and chic studio-like meeting space. 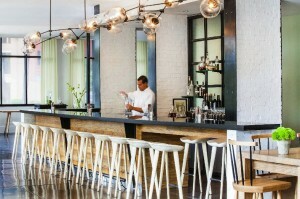 The vibe is relaxed with a social setting ripe for conversation and connections. The clientele is an eclectic mix: hipsters, honeymooners, fashionistas, culture hounds and biz road warriors. Not to Miss: The Andaz invites you to experience the “Art of the Cocktail”. Enjoy a custom hand-crafted creation made from fresh fruit juices, homemade syrups, tonics and artisanal liquors. With names like the Georgia Julep, Savannah Fizz and Cobblestoned, who could resist. The hotel’s overall decor is vibrant with clean modern accents. 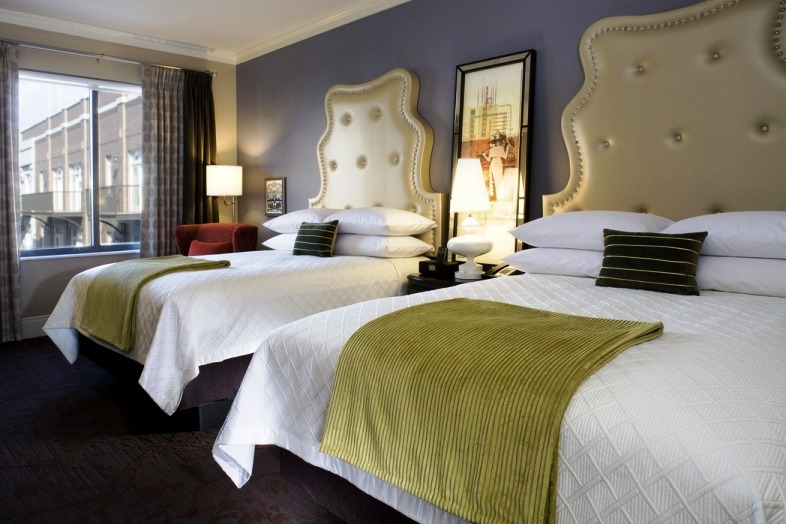 Rooms are spacious featuring a fresh sophisticated blend of colors and textures, luxe bedding, upscale furnishings and European styled showers. Select suites offer pedestal tubs, kitchenettes and balconies. The location is top notch. The Andaz, nestled in the center of historic Savannah, is convenient to shopping, nightlife and entertainment offering an unparalleled urban escape. 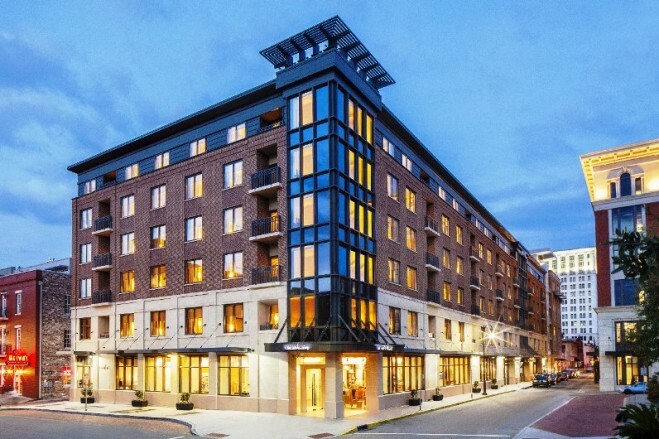 Savannah’s Riverfront, the City Market and trendy Broughton Street are all within walking distance. And, parking is easy and plentiful with the adjacent Whitaker underground city garage. The second floor terrace, with 2,800 square feet of outdoor living space, is a delightful indulgence and sets the Andaz apart from other hotels in the square. The terrace is a calming sanctuary to savor the sunshine poolside in a private cabana or cuddle in the warmth of the fire pit on a cool evening and count the stars. The Andaz Savannah makes the A-list on every level redefining contemporary comfort without sacrificing the treasured traditions and southern charm of its celebrated hostess and hometown. 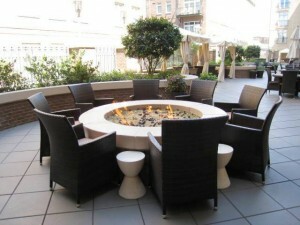 For more information and promotional packages, visit Andaz Savannah online or call 912-233-2116. A nominal fee of only $7 gets you 24 hour parking in all city garages, parking and most street meters. A 48 hour pass is $12. Pick up the visitor parking pass on your way into the city at the Visitor Center, located in a renovated railway station just off of Martin Luther King Jr. Boulevard, just west of the CivicCenter. Be sure to make note of your license plate number for the clerk and remember to bring cash (no credit or debit cards accepted). Standard garage parking in Savannah averages $13-$16 per day.